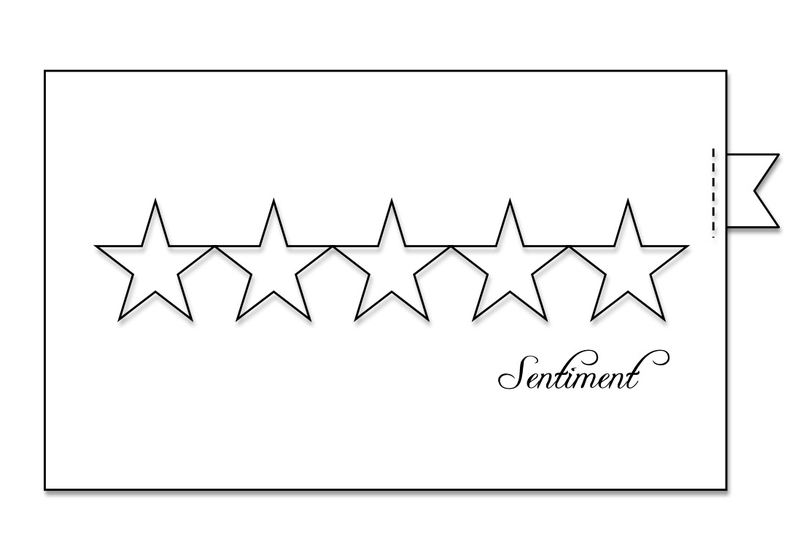 CAS-ual Fridays has challenged us to make a CAS card that is 4" wide and 9" long. Here's my entry, using a digital stamp from Jen Allyson in her Vanity Fair Persimmon set that I found it at Design House Digital. I elongated it to fit this card before I printed it. This will work for Jay Gee Nook's challenge, using purple, the Moxie Fab World's "Fanatical About Botanical" challenge, and also Simon Says Stamp and Show's "Anything Goes" challenge. I went literal again, and made a quilt using the papers from My Mind's Eye Stella & Rose "Hattie" pad, and added in some hearts to go along with my sentiment. I only have 3 sets of Our Daily Bread Designs stamps (and one of them is a Christmas one), so the word "Love" is the only stamp that would work on this card. I'm entering this into the Simply Scrapping Crafts challenge: No Cream or White, and into the Simon Says Stamp and Show: Anything Goes challenge. 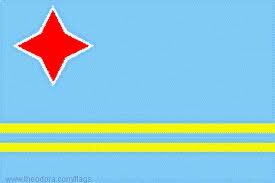 I don't know........I'm confused.........what do you think? Once again, I'm entering this into the "Anything Goes" challenge at Simon Says Stamp and Show. Here is Dawn's final card for us this month at CASE Study. I love this sketch! And again, I'm entering this into the Simon Says Stamp and Show challenge. Here's our Trigger at Moxie Fab World. Lovely soft colors, aren't they? I focused on the colors and the motif for my entry. I was clueless for a sentiment until I saw Cath's title: "Squares to Cherish", so "cherish" it was. This is being entered also into the Simon Says Stamp and Show challenge: Anything Goes. Each month at Lily Pad Cards, we have an inspirational challenge. We can pick anything we've seen at Lily Pad Cards, either on the blog itself or one of the challenge entries. This month I chose Nona's card from last month's inspirational card entries. 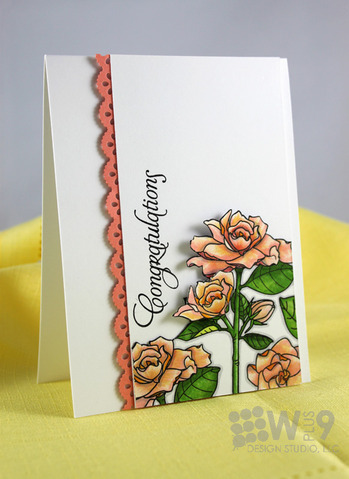 I loved everything about Nona's card: the brown stamping on kraft for the background, the white stitching and sentiment, and of course her gorgeously colored flower and bee. She used Shari Carroll's technique of watercoloring with distress inks mixed with Perfect Pearls and water, and I did the same. I used the same kraft background and white accents, but changed up my stamps and colors and added some punched edges. Please visit the Lily Pad Cards blog to see what the other DT members did this week! There's a prize from Simon Says Stamp up for grabs! I'm also entering this into the "Anything Goes" challenge at Simon Says Stamp and Show. Here's another entry for Simply Scrapping Crafts "Banner" challenge, using 2 sets of Purple Onion Designs stamps. 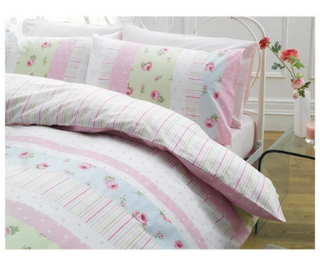 Such whimsical images, don't you agree? They are such fun to play with! This will also be entered into the "Anything Goes" challenge at Simon Says Stamp and Show. Good morning! I have another entry for the Stampin' Sisters in Christ challenge this week. I'm finding it's VERY difficult for me to use JUST these 2 colors without adding another. My sentiment is the famous "to every thing there is a season" scripture, from Ecclesiastes 3. Also entering this into the Simon Says Stamp and Show Anything Goes challenge. Here's an entry in the "banners" category for this month's Simply Scrapping Crafts challenge, again using lots of patterned papers. I had lots of fun with this one! Here's the way I do it. I punch out my squares using a 1 1/4" punch, then glue them to a piece of cardstock which is 5 X 3 3/4". That is run through the cuttlebug in this cute Sizzix little flower embossing folder. Then I attached baby ric rac to cover all the seams. That panel was then machine zig-zagged onto the card base. Then I added the paper flowers and buttons to the corners and put the sentiment inside some nesties scalloped hearts. Here's a detail to show you the cute embossing, which gives the illusion of quilting. Again, I'm entering this into the Simon Says Stamp and Show challenge: Anything Goes. 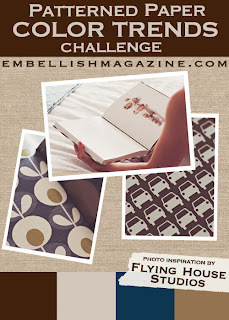 I'll also be entering this into the Verve July Diva challenge: Sentimental About Paper and the Simon Says Stamp and Show Challenge: Anything Goes. 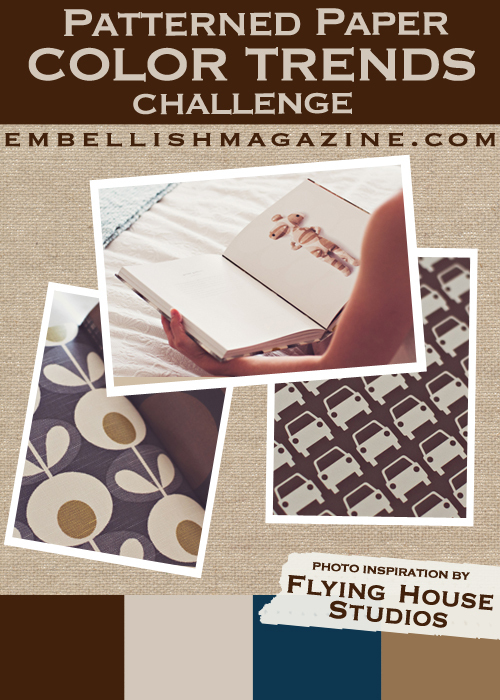 Embellish Magazine's newest challenge is really appealing to me! 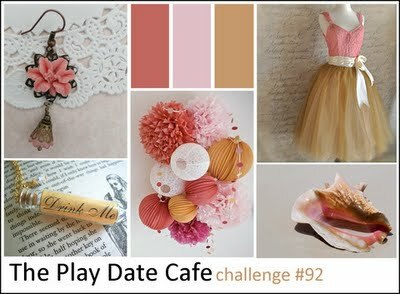 Here's the photo inspiration showing the colors we're to use; the other requirement is to use patterned paper. Here's my entry - I ADORE these colors together; they're so rich! And again, I'm entering this into Simon Says Stamp and Show's challenge: Anything Goes. Also entering this into the "Anything Goes" challenge at Simon Says Stamp and Show. I know, I know......you thought you'd seen the last of me for the Moxie Fab World Botanical challenge. I thought I was finished, too. 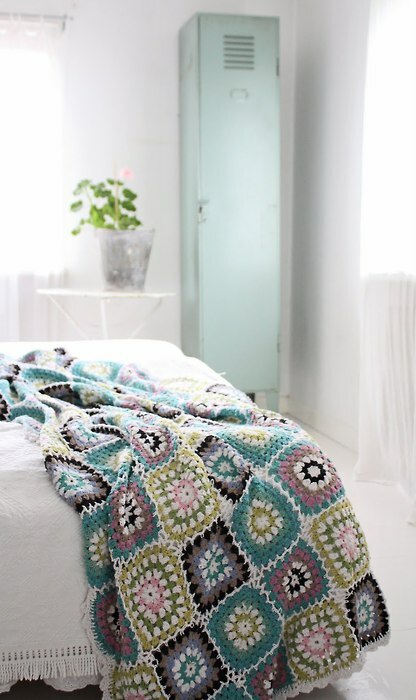 Then Karen posted this gorgeous digital butterfly on The Background Fairy blog, and my mind just clicked, remembering those butterfly pillows that Cath showed us. So here is my final card for the challenge - I think. The background is also digital, but the sentiment is stamped. 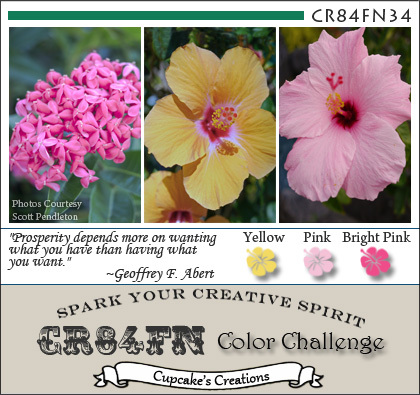 Here's another card for CAS-ual Friday; we are to use stickers or rub-ons in our cards. I've used 3 stickers from some old Susan Branch scrapbooking kits, adding only the stamped birds and the ribbon and button to this one. I've been a fan of Susan's work forever - I have her illustrations for recipes cut out from old Country Living magazines, many of her books, some fabric, and these scrapbook items. She has just started a blog, and posts several times a week. I highly recommend it first thing in the morning to get your day started with a smile! Eeek! I just remembered Papertrey's challenges today, and so I'm rushing this. Here is my card for challenge #2, to use hot pink and charcoal grey. I can't believe I just bought this charcoal yesterday when I was buying paper supplies! In case you hadn't noticed, I've been submitting lots of cards to Moxie Fab World's "Fanatical about Botanical" challenge. I can't help it, these are the images that make me happy. But so far I haven't done anything that is all stamped, so that was my goal with this card. This Decorative Birds stamp from 2007 is an old favorite, and I think it fits the bill quite nicely. Everything is stamped using bundled sage distress ink - isn't it a lovely color? The birds image was stamped in Versamark ink, clear embossed, and then rubbed with bundled sage distress ink. That panel was then edged with more of the same bundled sage. Then I overstamped the envelope pattern for some subtle texture, and the French script for a watermark look. The white card was stamped along the edges with the leaf motif from the pinkpaislee Impressions set before affixing the panel to it. I love the toile-like effect it gives. To finish, I added some tiny pink gemstones to the centers of the flowers. 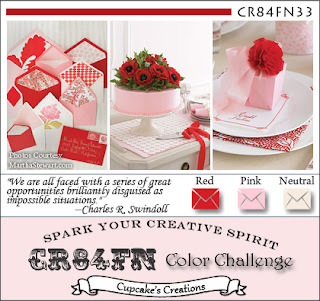 At CAS-ual Fridays, the challenge this week is to make a CAS card using stickers or rub-ons. I'm delighted to play because I have some beautiful stickers that I've collected down through the years, but hardly ever use. This one is from the Dollar Tree from a company called Miss Elizabeth. Sadly, at least in our local store, these can no longer be found. I love this particular set, because of my favorite blues. It doesn't get much simpler than this - the hardest part was threading that tiny button and attaching it to the tiny bow! I stamped this daisy stamp 3 times, using worn lipstick, spiced marmalade and mustard seed distress inks, then cut each one into 6 equal pieces and reassembled it in tiles on a white card. Vellum seemed the best way to add the sentiment, and the yellow ric-rac just adds to the summery feel. If you're here to see my card from Lily Pad Cards today, please scroll down one post - thanks! I stamped the zinnia bloom repeatedly on the card and twice on the pink card stock, cutting them out and popping 1 above the other, adding a black button to the center. Be sure and visit the DT's blogs to see what they did with other The Craft's Meow sets: Alice, Deborah, Latrice, Nancy, Pia, Sarah, Suzanne, and Vicky. And then please come play along with us - there's a Craft's Meow set of stamps up for grabs! For this entry into Verve's July Diva challenge, I used a sentiment from their Believe set, which contains many lovely sentiments for breast cancer survivors and awareness. I think it would speak to anyone, though, who needs some support. And of course, I had to make it in pink. The challenge is to use some of our hoarded favorite papers, and I did; these are some of my favorites : Pink Paislee's "Sweetness" (the roses), girls' paperie "vintage whimsy", and BoBunny "tutu dot", along with some hand-dyed seam binding to match. I love how this turned out. Because of these lovely roses, I'm also entering this into Moxie Fab World's "Fanatical about Botanical" challenge. 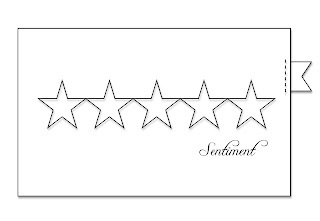 I'd also like to enter this into Verve Stamps: July Diva challenge, to show our hoarded papers and to showcase a sentiment. Before we get started, I'd like to apologize to you all for not being a good commenter on your blogs this past month or so. It seems we've been running over to my folks' every week - first for their 66th anniversary, then 2 funerals for 2 of my aunts, and then last weekend a wedding reception in the family........endings and beginnings. I think we're home for awhile now, and I hope to get back into my regular schedule. Thanks for bearing with me. And I'd also like to enter this into wee Memories CAS challenge. Literal Lin decided to try and stamp most of the picture, and I used a real mix of lots of different brands of stamps, some of them really ancient. I am so pleased to tell you that I entered some cards into the latest call at Paper Crafts magazine for their January/February issue, and they chose one of them! So Thursday was a BIG SMILES day, as my friend Karen would say, when I got that happy email! This will be my first ever publication and I am over the moon! What makes it really special is that in the same issue will be cards from Savannah, who encouraged me to enter, and 2 of my Hero Arts Hostess sistas, Virginia and Sarah. 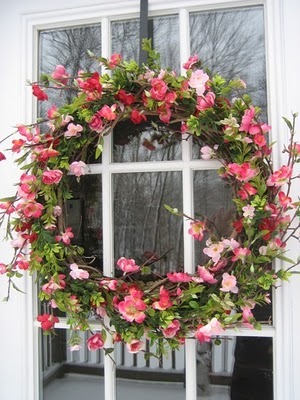 This makes me think of a group of hollyhocks - I love how it turned out! I stamped a butterfly trail on the back of the kraft panel to guide my stitching, then turned it over and added the other elements from the sketch.